Visit us at Ramzi & Co. and let us help you discover the most beautiful 18 karat gold and platinum collection of engagement rings, wedding bands and bridal sets. Ramzi & Co.’s flagship store in Colombo is globally recognized for its uniquely designed high quality 18 karat bridal Jewelry. Expect nothing but absolute glamour and heavenly beautiful bridal Jewelry at our store. It’s your big day, you deserve to be spoilt. Our unique collection boasts style choices and design combinations that allow you to create your special bespoke look for your wedding day. You can choose from a modern look to the timeless vintage bridal look. Ramzi & Co. curates special bridal collections to meet the style needs of the modern bride and her wedding party. 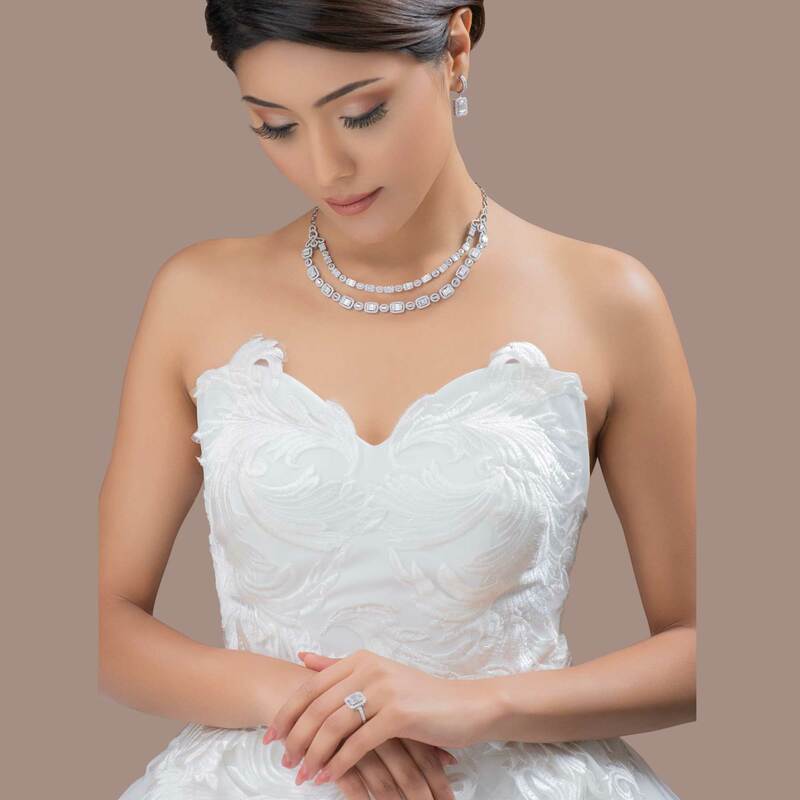 Our inhouse stylists in our Colombo store are expertly trained to spend time with our brides and are inspired to help every bride find her dream bridal Jewelry, we love to make your wedding day your best day ever.